It’s easy to view your existing client base as a measure of your veterinary clinic’s success - clearly you’re doing something right if these people have chosen to entrust you with their pets’ lives! Unfortunately, that frame of mind can also lead to complacency, which breeds the sort of bad service that can drive away clients permanently after a single negative interaction. Below is a list of 5 common mistakes that can cost you clients, and ultimately that shiny new ultrasound you’ve got your eye on! Clients who only hear from you when you’re advertising services will quickly become jaded to your motivations, even if their pet's good health is your ultimate concern. Increasing the frequency of your touch points between visits, and making the majority highly personalized and profit-secondary, builds the goodwill and trust needed to make the occasional advertisement a welcome reminder rather than a self-serving intrusion. Nothing makes a client feel less appreciated than being ignored. When clients complain, it’s up to the practice’s staff or owner to address the issue promptly and professionally, particularly if the complaint is in a public forum (for an example, online reviews). Issues that generate complaints are rarely isolated events, and for every client who complains there are others who suffered in silence. It is important to see complaints as opportunities to provide exemplary service for a client, or get ahead of a systemic issue before more clients are lost. It’s important for you and your practice to make an effort to get to know your clients on a more personal level. Diagnosing and treating pets is only one factor in your success as a veterinarian, and interpersonal compatibility plays more of a role in the vet-client relationship than many realize. Take the time to treat your clients as individuals. You are only as good as your weakest team member. 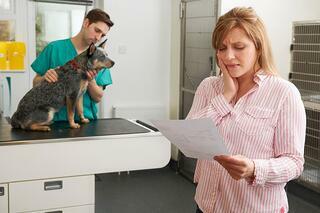 Even a great veterinary practice can be completely undermined by an uncommitted teammate. Alignment requires leadership and consistent communication so that each member of your team knows what’s expected and is held accountable to your high service standards. Those who’ve demonstrated that they’re not on board, whatever the reason, should not be left to poison those who are working hard to protect and grow your brand. A basic website presence is no longer good enough. Millions of pet owners use their smartphones and tablets to interact with businesses online or through mobile apps. If your practice is making it difficult to communicate, or is only available between 9AM and 5PM, clients will not hesitate to switch to a practice that offers the digital tools they’ve come to expect. The key to growing and maintaining your client list is loyalty. Focus to improve your practice in these five areas, and client loyalty will come more naturally. The best part? Loyalty builds momentum, such that greater loyalty will allow you to overcome the occasional gaffe. And loyal clients represent steady, predictable income, well into the future. 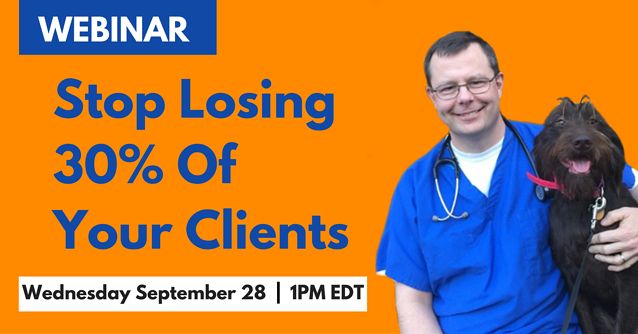 Stop the client churn in your practice and learn how mobile technology affects client loyalty. Click here to save your seat!